"Wait a minute...wait a minute here. 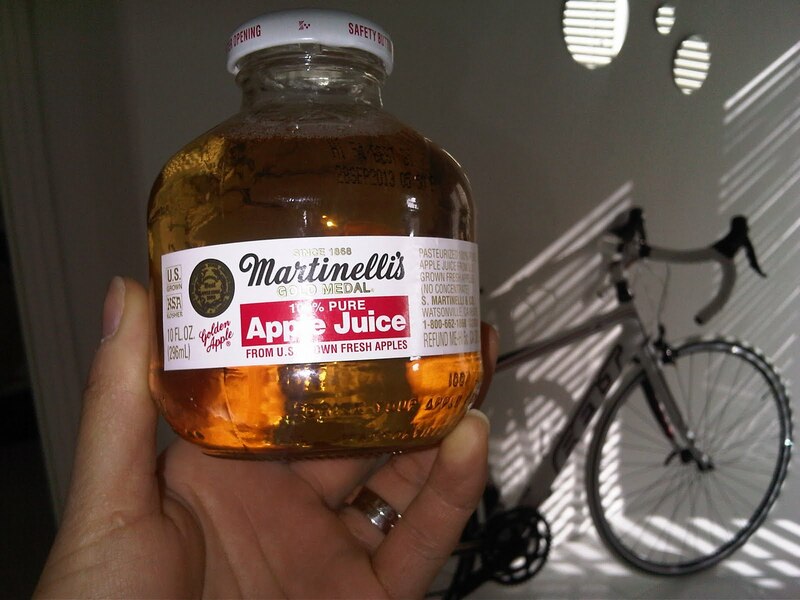 You get a bike...and I get a cute little container of apple juice? How does that work...?" Laughter ensues. I suppose it's a raw deal ;-P but I still think it's a pretty fair exchange. I love your new bike Daly, it's so cool! My first 10 speed was white. I wish I could learn how to ride like you. You seem like you are really enjoying your new found passion. Thank you Cris. Now why do you think you cannot ride like I do? I believe you can and if there is anything I can share to help you, I would love to. Just let me know!